How To Take Care of Your Laminate Wood Floors! Choosing laminate wood flooring for a home is a really good decision for a homeowner. Laminate flooring has come a long way since its beginning a few decades ago, with better quality, ease of installment, and varieties to choose from–you can even get laminate to look like stone! Caring for this manufactured product can be tricky, but with the right cleaning and care, it can look great for years to come. Laminate flooring isn’t real wood–it’s an image of wood adhered to fiberboard, with a bottom that is moisture damage-resistant. It is covered with a clear protectant that is hard enough to protect it from scratching and pitting. Although it is made to prevent moisture damage, it still needs to be protected from liquids. Any spills need to be cleaned up as quickly and thoroughly as possible. The top layer of sealant is there to protect the floor, but if the dining room chairs are constantly pulled from the table, put some felt pads on the legs to prevent any scratching. Other pieces of furniture that don’t get moved often still may need something under the legs, and felt pads or newer style plastic casters work perfectly for heavier pieces. High traffic areas are best protected with area rugs and runners. Be sure to use a gripper mat or tape underneath rugs to prevent slipping. Even though laminate is great for homes with pets, they can still get scratched in extreme situations. Keep pet’s toenails trimmed to prevent this. Pet accidents need to be cleaned immediately to prevent moisture damage and stains. Some toys with sharp edges can dent or pit the floor, so they should be used with care, or in places protected with area rugs. Sometimes an area of the floor can get damaged, and the best solution is to call the manufacturer to get their advice. Most even sell repair kits for small DIY jobs. The first defense in keeping any floor clean is a mat on both sides of a door that leads outside. A “no shoes” policy could even be put in place to keep even more dirt out, as well as preventing scuff marks. 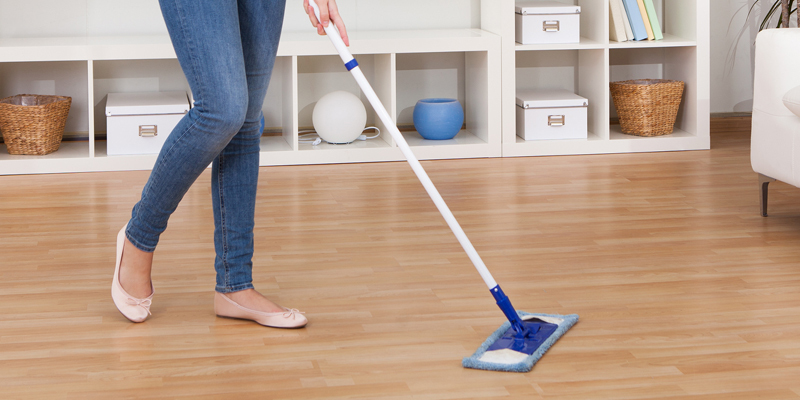 Removing dirt and small particles is best done on laminate floors with a microfiber cloth or mop. Sweeping with a broom can scratch the surface over time, and usually doesn’t get all of the dirt, anyway. Many styles of reusable and washable cloth floor cleaners are available and are perfect for laminate. Electric sweepers are also excellent for vacuuming dirt and pet hair. Make sure any vacuum-type sweeper has a gentle brush motion. Too heavy, and it can scratch. Mopping can create streaks because of too much detergent in the cleaner. The best solution for mopping grime or sticky spills is using two parts warm water, one part white vinegar, a few drops of dishwashing liquid, and a drop or two of lemon essential oil. The essential oil helps keep the vinegar odor down, but that smell fades quickly. Mix this in a spray bottle, and spray each area as you mop. The less liquid used, the better for the floor. In case of streaks, use a microfiber cloth or cloth diaper to buff the floor. These are best for a great shine on the floor. Never use dusting spray, as it can cause floors to be slippery. Laminate flooring can be an asset to a home, without the expense and extra work a hardwood floor can bring. Without a lot of extra cost, the flooring can look new for many years, as long as attention is paid to its care and cleaning. 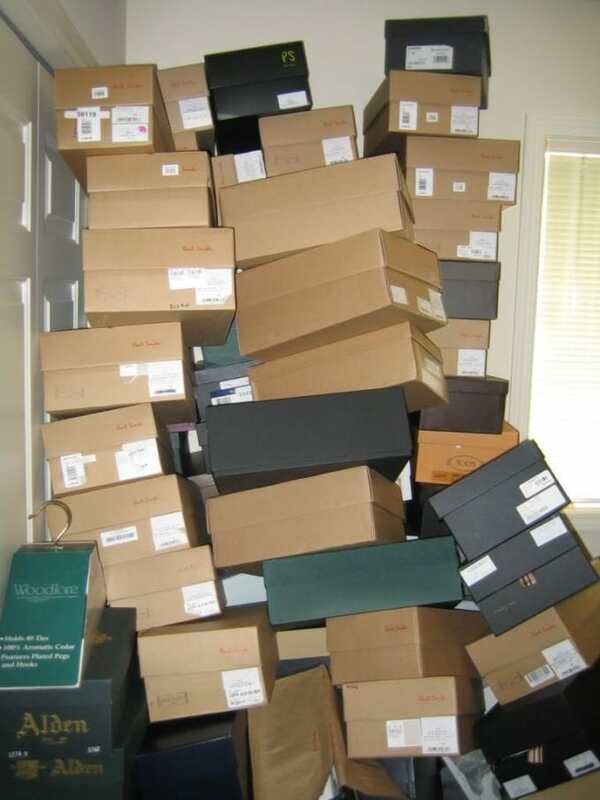 Most of us have seen the television show by the name of Hoarders. The reality of the lives these people struggle with is terrifying. Have you ever given any thought to the fact that perhaps you are a hoarder yourself? Maybe even just on a smaller scale? There are a few items that even normal people tend to hoard. Below is a list of a few items that you might be hoarding in your home and how to stop doing it. In this day and time most of us have all of our photos either saved to our social media pages or saved on our cell phones. However, some of us have boxes of photos from the past that we keep just in case we want to look at them some day. There is nothing wrong with having some photos in a box to look at but if the boxes of photos are overtaking your closet space there might be a problem. The best way to stop this hoarding problem is to go through the pictures you have stored in boxes a little a time and pick out those you simply cannot live without. Once you do this, use these photos to make a small scrapbook that can easily be stored in a bookshelf that is easily accessible to anyone whenever they want to take a trip down memory lane with photos. Another typical thing that many folks tend to hoard is magazines. If you have a subscription to a magazine then you are getting these delivered in your mailbox once a month. If you have more than one subscription it won’t take long before these magazines can begin to overtake your house. The best way to stop hoarding magazines is to throw them out as soon as you look through them. There is no reason to keep holding on to magazines once the month has passed because no one wants to look at old outdated news. If you have children then you are likely hoarding some of their artwork somewhere in your home. If you have more than one child you probably have a lot of it. The best way to stop this kind of hoarding is to go through the art work and pick out your favorites. Put your favorites into a small container that can easily be stored and looked at anytime you feel like it. No need for hundreds of art projects lying all over the house. These are just a few tips for you to get rid of items you might be hoarding in your home. There are many others you may need to work on as well. 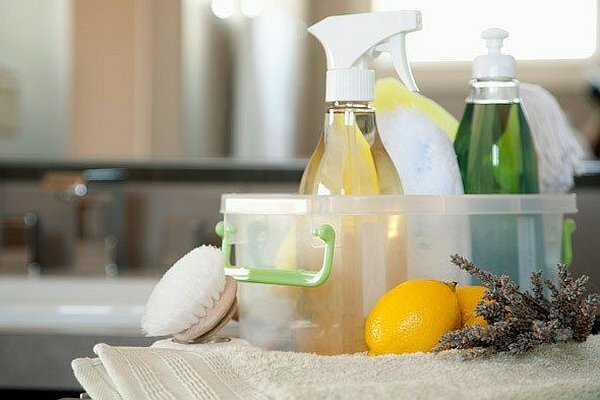 Spring has officially sprung and that means most of us are starting to get the itch to clean our homes. Below are a few spring cleaning tips for those of you who might be interested in doing it the natural way! These items are such that you likely already have them in your house so there will be no need to go out and purchase anything. Use a bit of distilled white vinegar on our toothbrush to make your smile brighter. 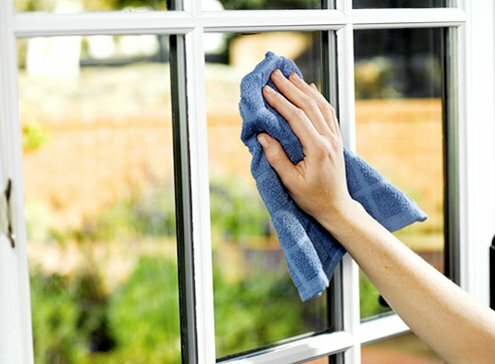 If you want your windows to shine and you don’t want to use regular window cleaner, use white vinegar mixed with water in a spray bottle then wipe clean with a paper towel. Clean your granite countertops with some liquid dish soap mixed with warm water then dry with a towel. Having a housekeeper to clean your house is a wonderful way to get some help with your housework if you have to work outside of the home and don’t have much time to do it yourself. There are ways to make your housekeeper’s job a bit easier than it otherwise might be however and the list below is a list of tips to help your housekeeper have an easier time making your house more beautiful and tidy. Be sure if you want your house cleaned like you want it that you are clear on specifics about what exactly it is you want done. If you write a list of what all you want cleaned for example you need to spell out each thing you want done and how you want it done so that you are not disappointed when you get back home after the housekeeper has done their job. Another tip to help your housekeeper get their job done well is to take care of your pets. Your housekeeper is there to clean your house, not to pick up after your pets and their messes. If you can take your pet over to a friend’s or family members house while your housekeeper is there cleaning it may be best for all involved. If you have things around the house that you can do before the housekeeper comes you may save yourself a bit of money. An example of the types of things you can go ahead and get done before the housekeeper comes is to get rid of your trash from last night’s dinner as well as go ahead and wash the dishes. 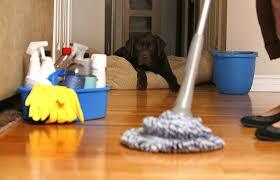 If there is something really nasty in the house such as dog poo then clean it up before your housekeeper gets there. If it is too nasty for you then it is too nasty for your housekeeper and you shouldn’t expect them to take care of it for you. Clean up any clutter before your housekeeper comes to your home so that they won’t have a hard time getting the floors cleaned and also so they won’t have to wonder where things belong and therefore may end up putting something in the wrong spot. These are just a few tips that will make your housekeepers life a bit easier. If a clean house is what you are after, do your part to make it happen and to keep your housekeeper happy.